Eventually I intend to extend my model of Penthos to fill my garage. The garage is a little over 26' x 12'. Here is first a reminder of the real place. The area that really interests me is the view from the road bridge on the right end of this map looking along the line under the viaduct. I have been building Penrhos for a many years and there is still a long way to go. At the moment construction has stalled a bit. This is a plan of the layout as it fitted into the spare bedroom. There are 3 baseboards that are 4' x 2', one that is 4'6 x 2' and a triangular board that is 4' x 2'. The PC&N and Rhymney lines return to a fiddle yard on the other side of the bedroom. I hope in the future to be able to move it to a larger location where the Barry lines can be properly extended to a fiddle yard. In 2006 this was the first train to run over Penrhos junctions since closure in the 1980's. It comprised of ADR loco No.14 hauling a rake of Great Western loco coal wagons and a Barry goods brake van. The problem with building an ambitious project like this from scratch, in a scale that isn't supported by the ready to run trade and an obscure prototype, is that it takes a long time and progress appears slow. 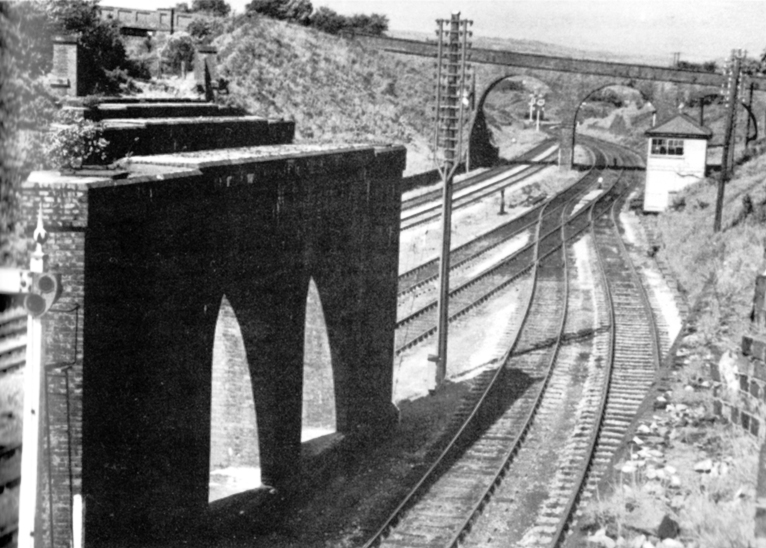 This is the view across the Barry viaduct to compare with photos of the prototype, taken from a similar view point in 1950 and 2004. The top of the embankment in the background is about 300mm above the lowest trackbed. I have been pondering how to fit the layout into my garage and how to make the design "achievable" - something that I can reasonable build in a reasonable time. If I were to continue building Penrhos in P4 it would not be achievable. So after much soul searching I have decided to try OO-SF also known as 4SF. Basically OO track but with 'super fine' wheels and flange way gaps. 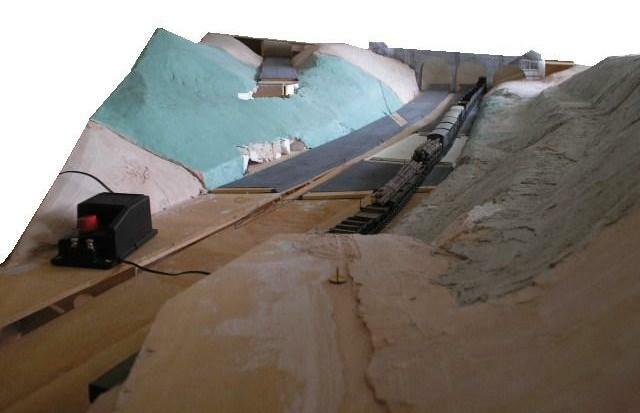 All on scene track would still be hand built but off scene the track can be RTR. The big advantage is that rolling stock doesn't need to be compensated so the build time is massively reduced. Presented here is the current final design. The grid is 1' squares, the green areas are either woods or open land. All of the railways are in cuttings, except the viaduct which is brown, the cutting sides are khaki. Roads are dark grey and the light grey is ballast. Over the past couple of years my friends have seen many and various final designs. But this one really becomes possible if I move away from P4. I've turned it around so that the main viewing area is from the north, with a second viewing area on the left hand side looking over the road bridge along the layout. It might be possible to make the front bowed. 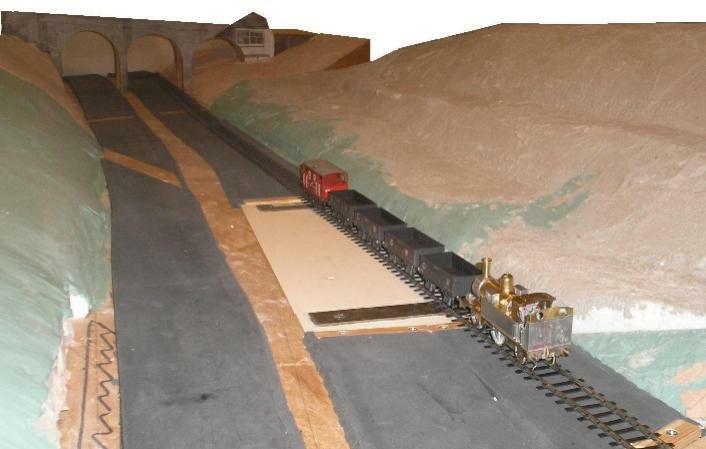 The main advantage is that this moves the central feature, the viaduct, much closer to the centre of the layout. It also allows the cuttings to be modelled at full depth. 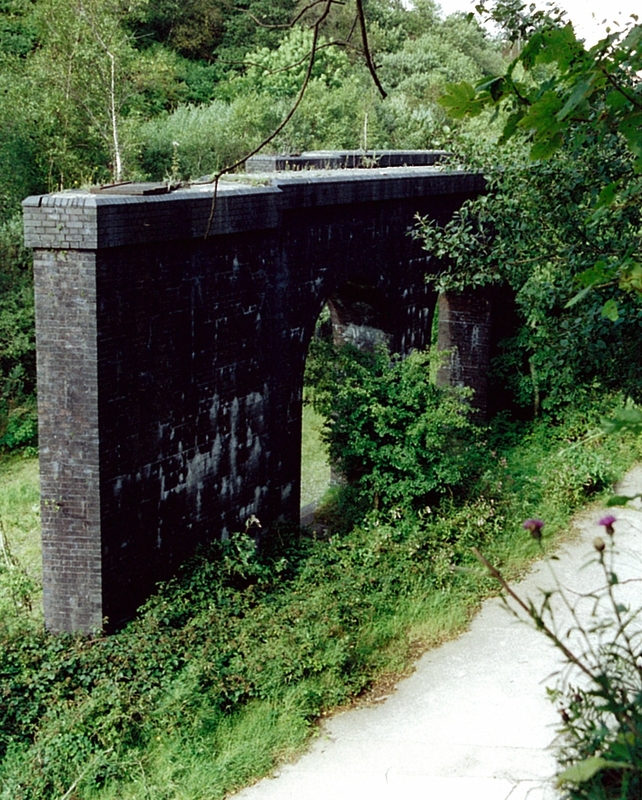 The A(N&SW) D&R and Rhymney lines are compressed to be able to use the two road bridges as scenic breaks. There is very little compression in the rest of the design. There are no natural scenic breaks for either of the Barry lines to the right. However, because of the shear depth of the cuttings and the viewing angle, the trains should just disappear as they would in real life. The fiddle yards are a lot simpler. The high level Barry line fiddle yard is completely separate from the others and flies over them. The A(N&SW) D&R and Rhymney lines join together off scene to the right to share a fiddle yard. 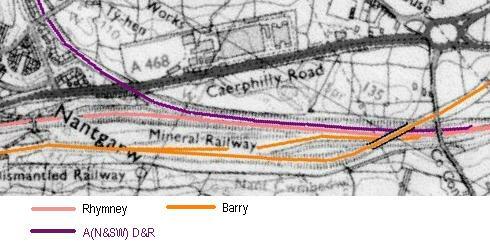 The Barry exchange sidings continue around a 180 degree turn and remain as 6 roads. A thought that I have had is that it might even be possible to continue the scenery along the Barry sidings.